We have every confidence in our equipment and in our players. Seeing the two come together in tournament play is a sweet thing indeed. A few short months after putting PXG clubs in play, James Hahn claimed Parsons Xtreme Golf’s first PGA TOUR victory at the Wells Fargo Championship. Hahn, who is widely recognized as having one of the best golf swings on tour, shot 9 under to clench the title. PXG, the revolutionary new golf equipment company founded by well-known entrepreneur and philanthropist Bob Parsons, made a huge splash with the announcement of the company’s 2016 tour staff. The 12 player roster not only includes James Hahn, but also reigning British Open Champion Zach Johnson, 2014 FedExCup Champion Billy Horschel, and U.S. Women’s Open Champion Cristie Kerr. Since the announcement, the company has gone from relatively unknown, to one of the most talked about brands in golf. Widely recognized for its commitment to developing the world’s finest golf equipment, PXG offers golfers at every level of the game an unparalleled playing experience. The company’s formula for success … cut no corners, prescribe to no material or cost constraints, and always deliver performance. 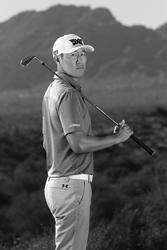 James Hahn is a shoe salesman turned American professional golfer. Hahn played college golf at the University of California, Berkeley and turned pro after graduating. Hahn picked up his first PGA TOUR win in 2015 at the Northern Trust Open. What’s in James Hahn’s bag? PXG 0341 3-wood, 15° with Aldila NV 80-x; 43"
PXG 0317 Hybrid, 17° head with Aldila NV 85-x; 40.75"
PXG 0311T Irons 4-9 with Project X LZ 6.5; +¼"
For more information about PXG or to add James Hahn’s clubs to your bag visit http://www.PXG.com. 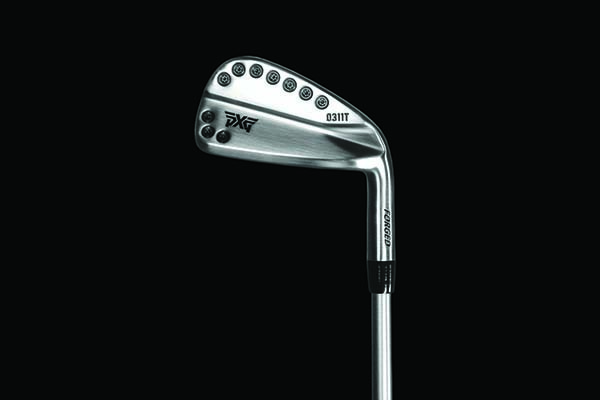 Parsons Xtreme Golf (PXG) is based in Scottsdale, Arizona. The company was founded by Go Daddy founder, businessman and philanthropist Bob Parsons in 2014. Leveraging breakthrough technology and sophisticated manufacturing processes that integrate high-performance alloys, PXG produces the finest golf clubs in the world. The company has over 60 global patents issued for its proprietary designs. PXG clubs are currently being played on all three major U.S. Tours. PXG’s professional staff includes PGA TOUR Champions Zach Johnson, Billy Horschel, Chris Kirk, Ryan Moore, James Hahn and Charles Howell III, Champions Tour golfer Rocco Mediate, and LPGA players Cristie Kerr, Gerina Piller, Alison Lee, Beatriz Recari and Sadena Parks.